A Pederpes from the Carboniferous. 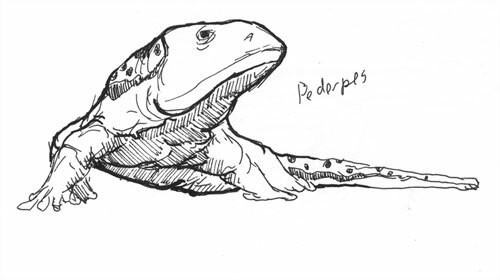 Finishing off the series of scanned amphibian sketches with a quick one of a Pederpes from the Carboniferous. This entry was posted in Scanned Desksketch and tagged amphibian, Carboniferous, extinct, paleoart by Anthony. Bookmark the permalink.